Lots of parts can be made quickly and inexpensively with the use of a vacuum forming system. 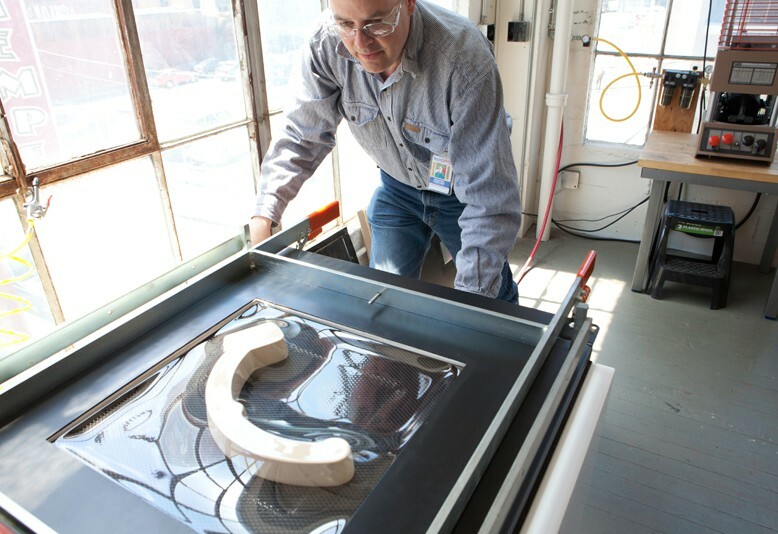 In this Safety and Basic Use class, you will learn the parts of the vacuum forming machine and then make vacuum-formed parts. You will make a master (plug) tool from inexpensive materials like pine, foam, balsa or found objects; select plastic sheeting; and then use the created part as a "plug" to mold the final object from a heated plastic sheet with the assistance of atmospheric pressure.